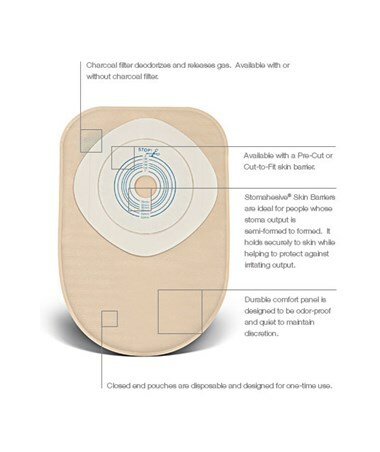 Select Size 175770: 1 1/4" 175771: 1 1/2" (DISCONTINUED) 175772: 1 3/4" 175773: 2"
The Acitvelife one-piece system is a simple to use, ostomy pouching system that combines the skin barrier and into one unit. The pouch is designed for one time use. Simply remove and discard! No need for messy draining. The comfort material on the body side ensures a comfortable fit. The charcoal filter releases gas buildup to prevent bag inflation while eliminating odor. 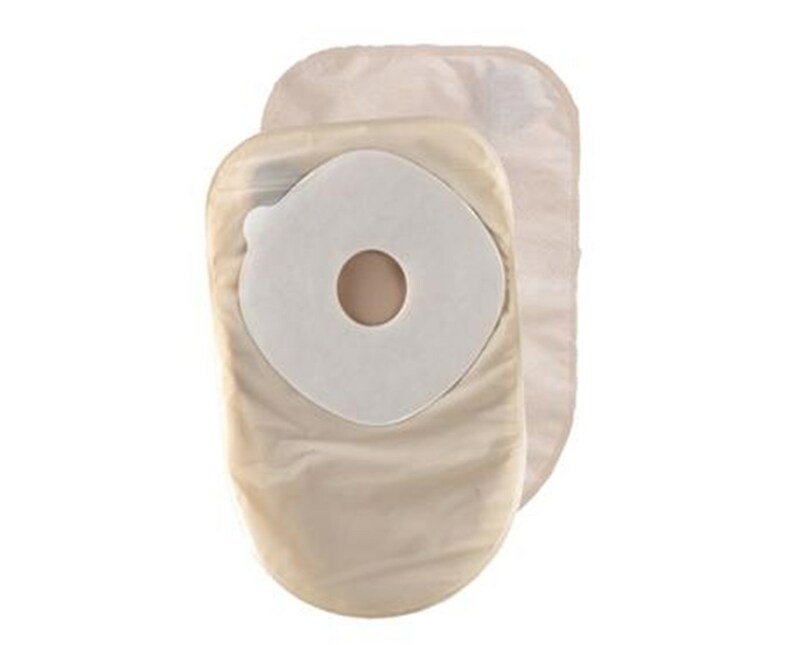 This product is offered with Stomahesive Skin Barrier for semi-formed to formed stool or Durahesive Plus Skin Barrier for loose stool. Contact our friendly sales staff to assist you in ordering this product. Opening Size 1 1/2", 1 1/4", 1 3/4", 2"